For the versions using Minecraft 1.8 or higher, this requires the Cyclops Core library! Come talk to us in #evilcraft on the Cyclops Discord server! 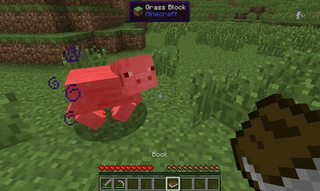 EvilCraft is a magic/technical mod that is based on somewhat evil things. Throughout the game you will discover an ancient source of evil. These powers can be used in various technological advancements to initiate a second age of evilness. you might want to see in the future, they can also be posted on our issue tracker. 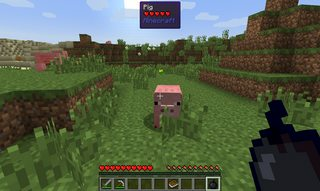 Furthermore, this mod is an open-source mod, so if you want to contribute you can find us on https://github.com/rubensworks/EvilCraft. You can also contact kroeser directly on https://twitter.com/kroesermc. To get started with this mod you will need to mine at least one Dark Ore with an Iron Pickaxe or higher to obtain a Dark Gem. 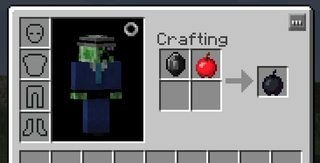 You will also need a regular Book, it will soon contain all the information about this mod. In this section, some of the features are showcased. All of them are explained in detail in the ingame manual. Blood can be obtained manually by slaying mobs, or through more advanced machinery. Infuse certain items with blood using the Blood Infuser. Or use your Blood inside other machines, such as the Purifier, which disenchants items or collects potion effects. Create fully customizable and upgradable brooms that allow you to fly around the world. Everything you need to know about this mod is in here! Dark Gems and Crushed Dark Gems are used to craft various things in this mod. Dark Temples contain Environmental Accumulators, which can be used for controlling the weather. After mobs die, they will leave behind their (Vengeance) Spirit. You can collect these spirits inside boxes. Vengeance Spirits are useful for a number of things, including putting them inside a Spirit Furnace for automatically obtaining their drops using some blood. Various utility tools exist in this mod. But there are also some new and fun mobs! Various tools for automation, such as killing mobs. Dark Tanks hold liquids, can be upgraded to higher capacities, and can automtically export to the bottom if enabled. 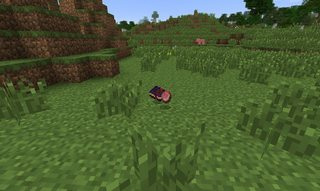 Biome Extracts allow you to transform biomes. Transport liquids anywhere you want using the Entangled Chalice. Rejuvenated Flesh provides a blood-based source of food. For those who like explosions, there is the Mace of Destruction. The Exalted Crafter provides an item-based crafting method for power users. Throw around mobs like a mad man. Automate your blood collection using Undead Trees.